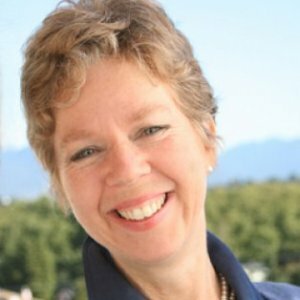 Linda Naiman helps executives and their teams develop creativity, innovation, and leadership capabilities, through coaching, training and consulting. She brings a multi-disciplinary approach to learning and development by leveraging arts-based practices to foster creativity at work, and design thinking as a strategy for innovation. Clients range from Fortune 500 companies to startups. Linda is founder of Creativity at Work and co-author of Orchestrating Collaboration at Work. She is a graduate of California College of the Arts, and Emily Carr Institute of art and design. Her mission is to liberate creativity at work, and make life, and work, a work of art. Organisations which have sought out Linda for her expertise include the US Navy, American Express, RBC, AstraZeneca, BASF and Intel. Since founding Creativity at Work, I have given talks or workshops on arts-based learning in North America, Argentina, the UK, Europe, Singapore, Shanghai, and Hong Kong. The Vancouver Biennale is a non-profit charitable organization that exhibits great art in public space, creating a catalyst for learning, community engagement, dialogue, and social action. Our mission is to make Public Art accessible, engaging, and motivating to create vibrant and inspired communities. Innovation is the key to the company’s future success and the global race for innovation is getting intense. The innovation workshop is really inspiring and engaging as it guides us through different skills and tool kits to explore the potential power of our minds and shows us how to lead the product innovation to business success. Thank you for taking the time to speak at our second annual Leadership Symposium. Your topic “Creativity at Work: Principles and Practices” was both interesting and insightful. I am confident that our leadership came away with valuable tools they can use in developing their personal leadership skills. You are involved in a truly pioneering effort to help us keep the personal, ‘heart matters’ in the foreground as we manage our increasingly ‘technical’ business. Successful pioneering in our own industry starts with the sharing of a new, different, and compelling corporate vision..Your work with us showed this so well, and your quote from Gandhi –“If you want something really important to be done you must not merely satisfy the reason, you must satisfy the heart also” — echoes the learning. For those who would ask, ‘… and just how does art benefit my business, I would offer, “If your business has important, pioneering work to do, then develop artful capabilities in your associates just as well as technical skills. “How budget cuts could kick-start creativity in the public sector. The signs were clear. A staggering deficit. A probable Conservative majority. Funding cuts to the arts were certain. Two questions remained: How significant the cuts? And, how to cope? Managers at Canadian Heritage knew they were going to need some creative ideas to guide them through the coming transition. So they called Linda Naiman, founder of Creativity at Work. NO EAU: Watercolour, not crayon, is the style Creativity at Work founder-principal Linda Naiman simulates by manipulating digital photos. Her revamped portrait of Vancouver Biennale’s open-air museum coordinator Ammar Mahimwala was top-rated in Intracorp’s #MeetMeAtTheTree contest. Submitted images had to include Douglas Coupland’s golden sculpture of Stanley Park’s hollow tree at the developer’s MC2 project at SW Marine Drive and Cambie. 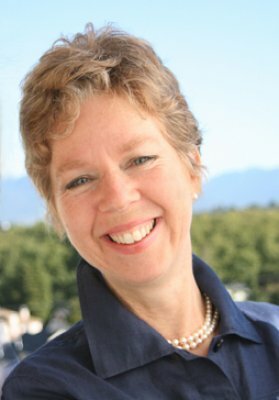 Linda Naiman, founder of the Vancouver, Canada-based workplace consultant Creativity at Work, "For innovation to truly flourish, organizations must create an environment that fosters creativity; bringing together multi-talented groups of people who work in close collaboration together — exchanging knowledge, ideas, and shaping the direction of the company's future." How do you transform the ordinary into the extraordinary? Immerse yourself in ideas, thinking processes and strategies used by leading innovators in business, art and science. Discover how art and design can be used as a catalyst for transformation and how collaborative thinking processes can lead to creative breakthroughs. Learn key principles, practices and tools you can apply to create a workplace environment where creativity and sustained innovation flourish. This column is published approx twice a month, covering creativity at work, innovation, arts-based learning, and design thinking.